It looks like the griffon-guide has a potential problem due to a transitive dependency to groovy-all.1.8.9 that has a known vulnerability. As you can appreciate in the report you get a summary of the vulnerability alongside a link that will help you decide in taking action on the particular item. In this case the dependency is not used at all as it’s part of the default set of dependencies included by the asciidoctor-gradle-plugin; also the generated documentation is in no way affected by this problem. At this particular point in time the project has most of its dependencies in a good shape, perhaps the ones that need a further look are gRPC and spring-boot as they deliver core functionality. The very nature of this particular project requires non GPL licensed dependencies to be consumed. Given that there are so many of them it would take a long time to check each one, fortunately the license plugin defines a task named downloadLicenses that can compile a couple of reports stating the relationship between an artifact and its license. This makes it very easy to find if a particular dependency may need to be evicted and exchanged with an alternative. Would you look at that, 14 violations found in Google Guava 23.0; unfortunately the project requires Google Guice which brings Google Guava as a transitive dependency. What does this mean? Will Griffon projects run without problems on Java 9? There’s a good chance they do but it certainly would better if a newer version of Google Guava were to be published that did not rely on unsupported APIs. 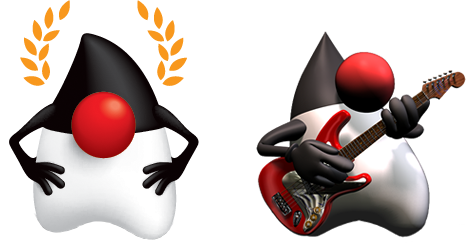 We’ll still have to see how libraries will cope with the compatibility split that Java 9 brings, will it be multiple artifacts with classifiers? Multi-Resource JARs (MRJARs for short)? The next months will certainly be interesting to watch. 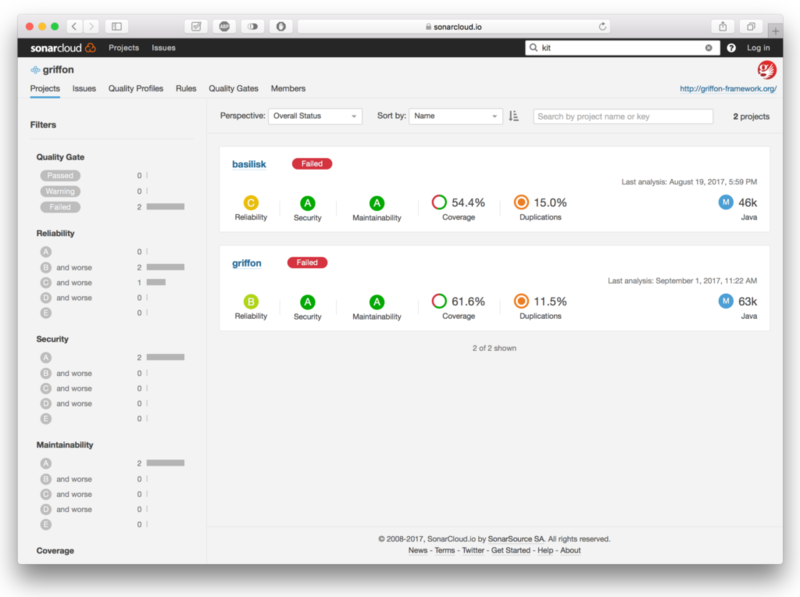 All these plugins can be configured to run on a continuous integration server; there’s no excuse to skip generating code health reports at least once a day.